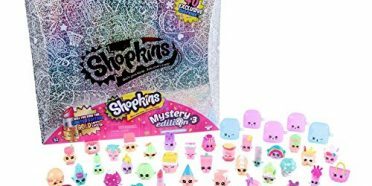 Shopkins Toys are popular kids toys from Moose Toys. They are grocery store-themed characters that kids can collect, share, and trade. 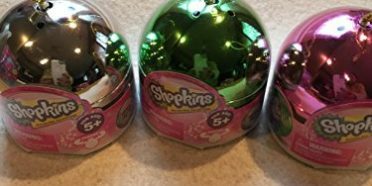 A favorite for girls and boys, Shopkins come in playsets and small rubber “food” pieces that are characters. Each figure has a name and is classified into a different category including: Fruit and Veggie, Pantry, Bakery, Sweets, Dairy, Party Food, Health/Beauty, Frozen (clear), and Limited Edition. They come in unique finishes like glitter, clear, and metallic. The collection consists of varying degrees of rarity, ranging from common, to rare, to ultra rare, and ultimately special edition. 7 season’s worth of characters are available as well as clothing, accessories, books, etc. We offer a checklist of them to help you keep track of them all. Parents like that they are cute, reasonably priced, and fun for their kids. Kids love that they are small, easy to take in a pocket or purse, and come in bright cute colors. Kids have a blast trading them and trying to collect them all. They enjoy the youtube cartoons and discussions with their friends about the characters. Many kids set up their own little stores and imagine the adventures of the different grocery items. Whole chunks of time fly away as they laugh and pretend. A new addition to the line are the Shoppies dolls. They act as the shopkeepers and each have their own unique personality. Kids love them and have added them to their Shopkins adventures. Parents often ask “What are Shopkins made of?” Depending on the character they can be either made of rubber or plastic. More info can be found here. 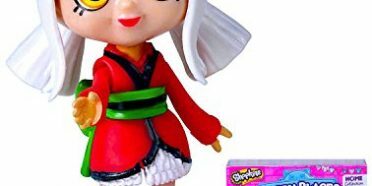 What is included with Shopkins Toys? The Shopkins collection also includes bathroom themed items, books, bedding, and clothing. 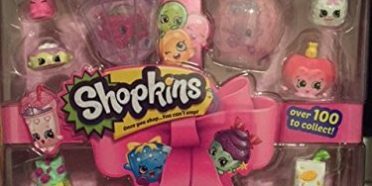 Shopkins continues to gain popularity and was awarded the 2015 Girl Toy of the Year. The Shopkins Shopville App is also very popular where children can earn and redeem Shopkins Dollars. 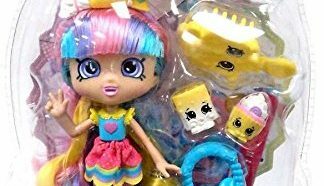 Wikipedia shows that worldwide sales figures for the Shopkins line are over 80 million units. 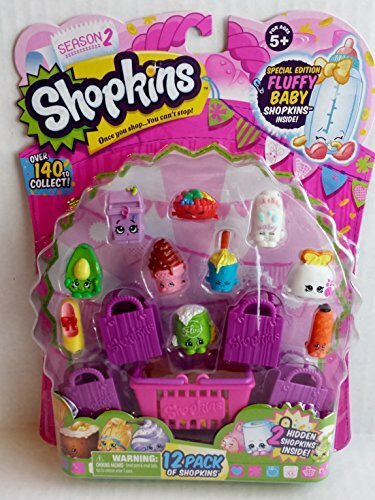 Where to Buy Shopkins Toys? 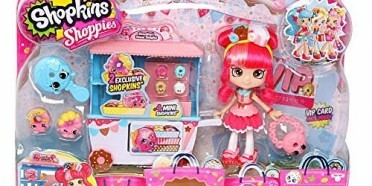 The largest seller of Shopkins products is Amazon, followed by Toys”R”Us, Walmart and Target. Parents find in store selection sparse as the toy is a hot commodity. With their free 2 day shipping, Amazon makes the purchase quick and simple. 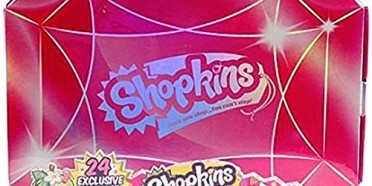 Please look around SPKFans.com as we have information on the full line of Shopkins products.